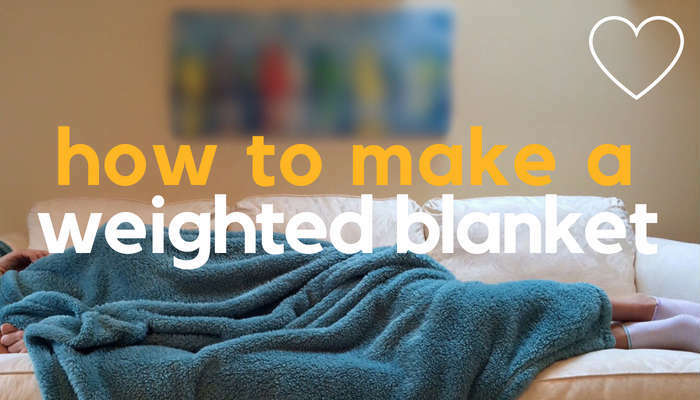 Want to enjoy the benefits of a weighted blanket without heating up at night? Then a COOLMAX cooling weighted blanket for adults could be just what you need. 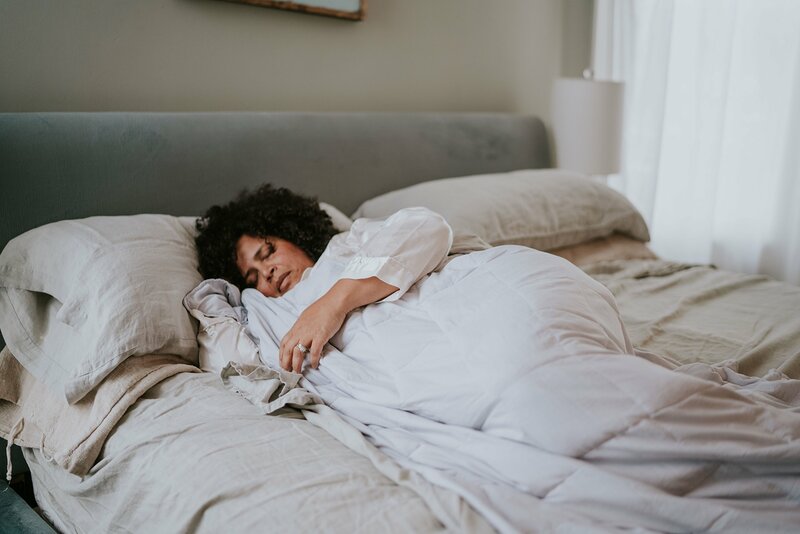 Whilst the therapeutic benefits of weighted blankets have proved a blessing for many of us with anxiety and sleep issues, for those prone to overheating, some weighted blanket can feel like a nightly heat wave. So if you’re a warm sleeper, you’ll be pleased to know the COOLMAX weighted blanket from Weighted Comforts is designed with you in mind (as are these bamboo ones!). How does the COOLMAX weighted blanket work? Many weighted blankets, whilst warm and cosy, are made from manmade fabrics such as fleece or flannel. These fabrics don’t breath well and tend to retain heat, making them unsuitable for most folk who get hot easily. Weighted blankets with 100% cotton covers can often be a much better option for warm sleepers (cotton is naturally breathable) – however, the COOLMAX weighted blanket goes a step further. Made from a mix of naturally breathable cotton and COOLMAX® ALL SEASON polyester, the COOLMAX is specifically designed to help move body heat away from warm sleepers, thus helping you to remain cool and dry. If you want the sciencey bit – the fibre structures in the blanket work to absorb and spread moisture out across the fabric to improve the rate at which heat and moisture can escape into the air. Good news for sweaty sleepers! Is This An ‘All Season’ Weighted Blanket? Yes. If you live in a warm climate or want a cooling weighted blanket suitable for summer, the COOLMAX is designed specially for your needs. But if you still want the blanket to keep you warm during winter, it will do this too, since the fibre structures are still designed to provide insulation on colder days. In terms of comfort, the weave is denser than quilting cotton but it’s still smooth and comfortable to the touch. In fact, the blanket goes through a tufting process to give it a lovely soft, smooth feel. Weighted Comforts have also recently launched a new edition of their cooling weighted blanket, which they state is ’50% softer to the touch’. The blankets are also of an excellent quality and craftmanship. Whilst many weighted blankets are becoming increasingly mass produced, the COOLMAX weighted blankets are handmade in Tennessee. 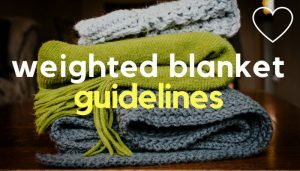 The blanket is available in white or light grey. The COOLMAX weighted blanket is filled with plastic pellets made from a PVC compound. The Weighted Comforts website state the materials are ‘FDA approved’ and ‘if in contact with skin, is non-irritating’. Is the COOLMAX machine washable? Yes. The COOLMAX weighted blanket is machine washable on cold or warm and you can dry it naturally or tumble dry on low. If you’re worried about your machine being able to cope with the weight of the blanket though, Weighted Comforts suggest taking it to a laundrette, where you’ll likely find an industrial size machine, suited for heavier loads. What sizes does the COOLMAX come in? Another advantage with the COOLMAX weighted blanket for adults is the sizing. Whilst there are other cooling weighted blankets for adults on the market, such as the popular and affordable YnM Cooling Weighed Blanket, these are generally more limited in size options. The COOLMAX however, is generally available in 15, 20 and 25 lb sizes, giving adults and teens more choice. 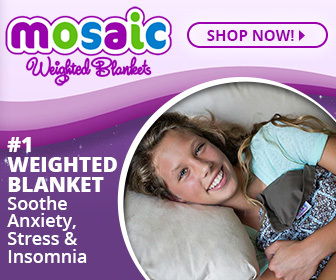 For adults and teens, it’s generally recommended you choose a blanket that’s about 10% of your ideal body weight. 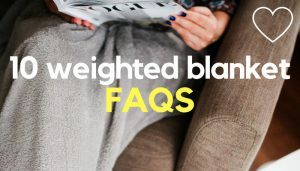 If you are in between sizes, Weighted Comforts recommend selecting the lower of the two weights, as opting for a heavier size may make the blanket feel too weighty. What About A Cooling Blanket For Kids? If you have a child who’s a hot sleeper, the good news is there’s also a Mini COOLMAX weighted blanket for kids, in a 7lb size. 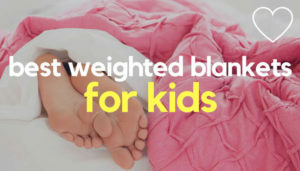 This is the only cooling weighted blanket for children I’ve personally come across, so if you have a child who struggles to sleep but also get warm easily, you may want to give the Mini COOLMAX a look. 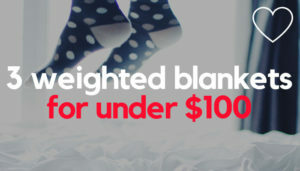 NOTE: When considering a weighted blanket for a child, cooling or otherwise, keep in mind manufacturers/therapists generally recommend that a blanket is 10% of the child’s body weight, plus 1or 2 lbs. Is There A Queen or King Sized Cooling Weighted Blanket? If you’re looking specially for a twin sized weighted blanket, check out the Cooling Weighted Blanket For Couples from YnM. Made with couples in mind, it’s around 80”x87” in size, with a breathable bamboo duvet cover and weighted blanket insert. It works in a similar way to the COOLMAX, transporting moisture away from the body to help you stay cooler and drier. 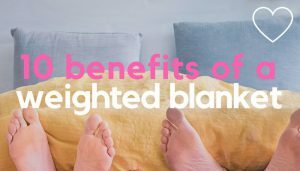 Keep in mind though – to get the full benefit of a weighted blanket, it’s generally advised they lay on top of the mattress only. With larger weighted blankets, such as a Queen or King size, you may find some of the weight is wasted on the bed if it drapes down the sides. If you’re a hot sleeper, a cooling weighted blanket for adults, such as the COOLMAX Weighted Blanket (or COOLMAX Mini for kids) could well be your answer to a cooler, better night’s sleep. With consistent 5* reviews, from contented customers, Weighted Comfort’s COOLMAX blanket is a popular hand made choice, designed to work well for hot sleepers year round. 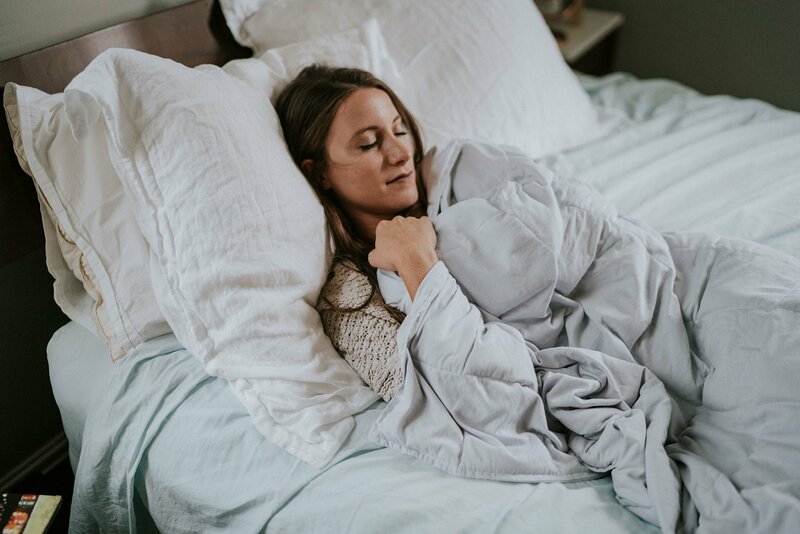 The blanket is expertly made and Weighted Comforts is a family run, socially conscious brand, with a real commitment to its community and customers. All Weighted Comforts blankets come with a 30 day money back guarantee and you can usually get a 15-20% discount on your first order via the website.